Spurs have announced further delays to their late-running £1bn stadium. It now appears the stadium is unlikely to open before April, more than six months later than the first game was due to be played under the original build programme. Today the club confirmed that the north London derby with Arsenal on 2 March will now be played at Wembley. 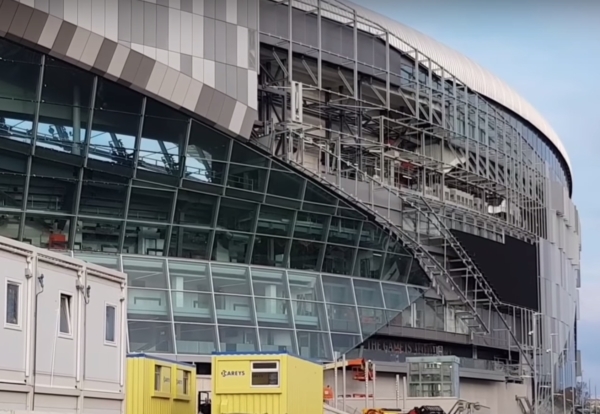 The club said remedial works on the safety systems in the new stadium were near completion, but would not give a new opening date. Once remedial works have been completed, contractors will move to final stages of testing the fire detection and alarm system and its integration with the other safety systems. “The success of this testing is critical to our ability to obtain a safety certificate and open the stadium,” said the club. In a statement chairman Daniel Levy said: “Once again, thank you all for bearing with us and for the great support we have received from so many different quarters. These next few weeks are pivotal.